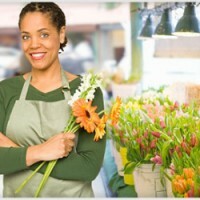 Have you ever wanted to strike out on your own and start a small business? There is never a bad time to start a business — the world is constantly changing, creating new fertile ground for the optimistic and fearless — although some times are better than others, and now is a great time! Sometimes the most difficult part of starting a business is coming up with a winning idea, whether it’s to launch a part-time sole proprietor operation run from a small home office or a formal company with dozens of employees. You might want to work in a particular field, for example the hospitality industry or publishing, but don’t know what to do specifically. Or perhaps all you know is that you want to start a business, but you’re searching for a business opportunity that inspires you. Starting a business, no matter how small, involves detailed planning, making key financial decisions, understanding your market and completing a series of legal activities. Human powered vehicles, e.g. freight bicycles, carrier cycles, freight tricycles, and quadra-cycles designed and constructed for transporting large loads. Vehicle designs include a cargo area consisting of a steel tube carrier, an open or enclosed box, a flat platform, or a wire basket. These are usually mounted over one or both wheels, low behind the front wheel, or between parallel wheels at either the front or rear of the vehicle. The frame-and-drive train must be constructed to handle loads several times that of an ordinary bicycle. Other specific design considerations include operator visibility and load suspension. The first freight bicycles were used by tradesmen for delivering mail, bread and milk, food vending in high foot traffic areas and transporting trade tools. The four-wheeled human-powered quadra-cycle is used for a variety of purposes, including tourist rentals, pedal taxis, private touring, mountain and industrial use. Handmade clothing and fashion accessories made from recycled eco-friendly materials; besides reducing overall waste, it also reduces the amount of natural resources necessary to produce such products, including the land and water used to grow cotton or hemp, as well as pesticides and energy used in the agricultural and production process. The idea of clothing made from recycled materials is not only better for the planet; it is also increasingly popular with consumers looking to minimize the environmental footprint of their wardrobes. Contact Theresa (ecottage@gmail.com) to create a Business Plan.